Burlington, or “Burly,” is a town situated in Middlesex County, Massachusetts northwest of Boston. Established in 1640 and incorporated in 1799, Burlington has blossomed to be known as “where technology goes to work,” with over 30,000 people spanning 12 square miles across the 01803 zip-code. Burlington is a tight-knit community that upholds several clubs and sports facilities which residents are encouraged to join and visit. After a day spent playing tennis, basketball, or soccer, kids will love heading over to the Burlington Ice Palace to skate. The Town Common and Simonds Park are located in the heart of town, both with many households visiting daily. Residents can walk or hike the trails at the Mills Conservation Area or Burlington Landlocked Forest. Homebuyers can learn the town history at the Burlington Historical Museum or shop, dine out, and more. 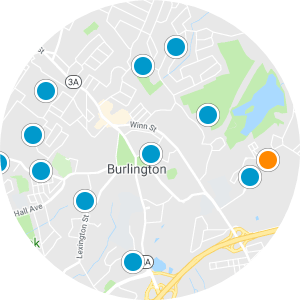 Burlington real estate in Massachusetts can be found with access to the US-3 or near essential institutions like the Lahey Hospital and Medical Center. 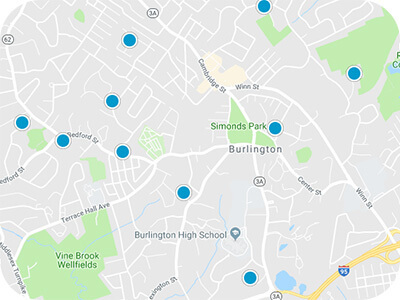 New construction homes for sale in Burlington are available with classic Colonial exteriors and contemporary interiors with modern updates and amenities. 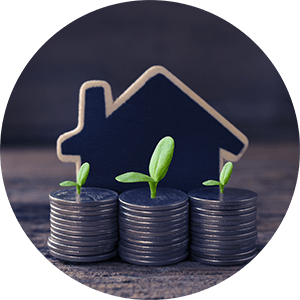 Open layouts in homes, townhomes, and condos for sale in Burlington present homebuyers with as many as four bedrooms across as much as 4,000 square feet with some estates reaching up to 7,000 square feet of spacious living. Houses in Burlington, Massachusetts with fireplaces, two-car garages, basements, and room to entertain can be found available. 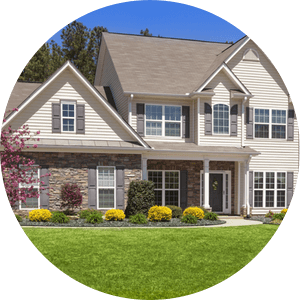 If you are interested in buying one of the Burlington homes for sale in Massachusetts, please contact us today.